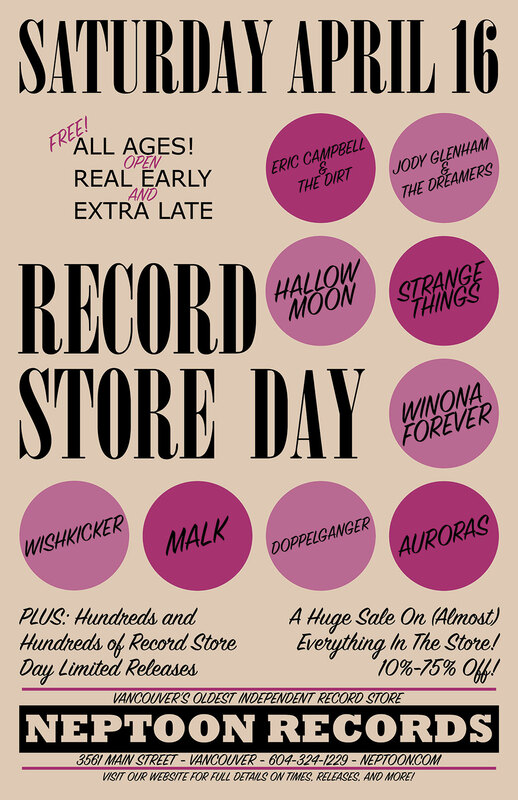 Saturday April 16th, 2016 is Record Store Day! Like every year, we are celebrating it in a big way. As always we will have a ridiculously huge selection of limited releases. Take a look at the list posted below. Due to the limited nature of these titles, it is not guaranteed that all the titles on the list will arrive, but cross your fingers! If there is anything that you don’t see on the list, but want to see here on RSD, let us know via-email! No promises, but we can try to bring in what you want. There are some titles that we chose not to order because of some seriously ridiculous pricing (ex. both Lil Wayne records retail around $60…each). We also encourage you to let us know what you are excited about that is on the list, that way we can better gauge if we need more of certain titles so you don’t walk away disappointed. Below is a list of titles that we currently have on order. Titles that are confirmed to arrive (have shipped and/or arrived already) are highlighted in bold italic. Many titles don’t arrive until the week of Record Store Day, including all the way up to the day before, so don’t be alarmed if the title you want hasn’t been listed as shipped/arrived. This is an ACTUAL list of what we have ordered that we assembled and formatted accordingly. We did not copy and paste this from anywhere or anyone else, so please don’t take it as your own (*COUGH*)!